Dr. C.-C. Jay Kuo received the B.S. degree from the National Taiwan University, Taipei, in 1980 and the M.S. and Ph.D. degrees from the Massachusetts Institute of Technology, Cambridge, in 1985 and 1987, respectively, all in Electrical Engineering. From October 1987 to December 1988, he was Computational and Applied Mathematics Research Assistant Professor in the Department of Mathematics at the University of California, Los Angeles. Since January 1989, he has been with the University of Southern California (USC). He is presently Director of the Multimedia Communication Lab. and Dean’s Professor in Electrical Engineering at USC. His research interests are in the areas of multimedia compression and communication, multimedia content analysis and computer vision. Dr. Kuo is listed as the top advisor in the Mathematics Genealogy Project in the number of supervised PhD students. He has guided 134 students to their PhD degrees and supervised 25 postdoctoral research fellows. Currently, his research lab at USC (http://mcl.usc.edu) has around 20 Ph.D. students. He is a co-author of about 250 journal papers, 900 conference papers, 30 patents, and 14 books. He delivered about 550 invited lectures in conferences, research institutes, universities and companies. Dr. Kuo is a Fellow of AAAS, IEEE and SPIE. He was Editor-in-Chief for the IEEE Transactions on Information Forensics and Security (2012-2014) and the Journal of Visual Communication and Image Representation (1997-2011). He was on the Editorial Board of the IEEE Signal Processing Magazine (2003-2004), IEEE Transactions on Speech and Audio Processing (2001-2003), IEEE Transactions on Image Processing (1995-98) and IEEE Transactions on Circuits and Systems for Video Technology (1995-1997). He was an IEEE Signal Processing Society Distinguished Lecturer (2006-2007). He is currently a Senior Editorial Board Member for the IEEE Journal of Selected Topics on Signal Processing (2015-2017). He was an IEEE Signal Processing Society Distinguished Lecturer in 2006. He was President of Asia-Pacific Signal and Information Processing Association (APSIPA) in 2013-2014. Dr. Kuo received the 1992 National Science Foundation Young Investigator (NYI) Award, the 1993 National Science Foundation Presidential Faculty Fellow (PFF) Award, the 1994 USC Northrop Junior Faculty Research Award, the 2007 Okawa Foundation Research Award, the 2010 Electronic Imaging Scientist of the Year Award, the 2010-11 Fulbright-Nokia Distinguished Chair in Information and Communications Technologies, the 2011 Pan Wen-Yuan Outstanding Research Award, the 2014 USC Northrop Grumman Excellence in Teaching Award, the 2016 USC Associates Award for Excellence in Teaching, the 2016 IEEE Computer Society Taylor L. Booth Education Award, the 2016 IEEE Circuits and Systems Society John Choma Education Award, the 2016 IS&T Raymond C. Bowman Award and the 2017 IEEE Leon K. Kirchmayer Graduate Teaching Award. 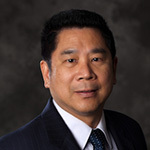 Professor C.-C. Jay Kuo is presently Director of Media Communications Laboratory and Dean’s Professor of Electrical Engineering at the University of Southern California (USC). He is one of the most prolific researchers, an R&D trend-setter, and an internationally-recognized technology leader in the multimedia field for around 30 years with enduring impact on both the academic and industry realms. He has published about 250 journal papers, 900 conference papers and 14 books. His work has been cited more than 23,700 times and his h-index is 68 (source: Google Scholar). His technical contributions span the following three main areas. 1) Image/Video Coding. Kuo has made a sequence of important contributions to the field of image/video coding since early 90s. In the area of image coding, his team proposed a multi-threshold wavelet codec (MTWC) and won the second place in the first JPEG-2000 coding contest (Sidney,1997) among 24 proposals. He hosted a JPEG-2000 standardization meeting in Los Angeles in 1998. In the area of video coding, he has made three major contributions: fast motion search, H.264 rate control, and perceptual coding. Fast motion vector (MV) search plays a critical role in complexity reduction of video encoders. “Good MV initialization” and “iterative local MV refinement” are two pillars of fast MV technology. While most researchers focused on the 2nd topic, Kuo was the first person that pointed out the importance of the 1st one with an elegant solution. He exploited the spatial and temporal correlation of the MV field to obtain good MV initialization. His solution improves the MV search speed by two orders of magnitude. His fast MV algorithm is the basis of modern MV search methods and adopted by all video capturing devices (e.g., digital cameras and video camcorders). Rate control for H.264 video was challenging due to the lack of good rate and distortion models needed in the rate-distortion optimization (RDO). Kuo proposed a new rate model, which takes both the header and content bits into account, and a new distortion model for H.264 video. This is widely adopted in all H.264 video encoders. Kuo developed a new perceptual video coding framework in recent years. The traditional continuous/convex rate-distortion function does not take the nonlinear human perception into account. Actually, humans only perceive discrete quality levels, leading to a stair-like quality-versus-bitrate function. Kuo adopts the Just-Noticeable-Difference (JND) concept to measure human’s stair visual quality experience, and uses the “satisfied user ratio” (SUR) curve to replace the traditional “peak-signal-to-noise-ratio” (PSNR) curve. As a result, rate control is reformulated as a data-driven machine learning problem, which opens a brand new research direction for the image/video coding research community. 2) Multi-resolution signal/image analysis and modeling. Wavelet theory was developed in late 80s and widely applied to signal/image processing in 90s. Kuo was one of the pioneering researchers in applying wavelets to image processing, including texture analysis, curve representation, fractal analysis/synthesis and watermarking/data hiding. His work on texture analysis using the tree-structured wavelet transform is a classical one with great impact. He applied the wavelet packets for texture features extraction, which enhances the texture classification rate significantly. This work has been cited about 1,750 times. His work on the wavelet-based curve description was innovative. The technique finds application in cartoon morphing and animation, medical image segmentation, model-based shape detection in a noisy environment. He published a sequence of papers on the extended self-similar model for fractal analysis and synthesis based on wavelets. He also developed a wavelet-based watermarking scheme and a data hiding scheme for JPEG-2000 images. 3) Multimedia contents and rights management. In the area of contents management, Kuo made fundamental contributions to audio and environmental sound analysis. He performed audio content analysis, and applied it to on-line audiovisual data segmentation, movie content analysis, etc. In recent years, Kuo focused on environment sound analysis, which finds application in audio scene analysis and robotic navigation. In the area of rights management, Kuo proposed a joint data encryption and entropy coding technique. It has a great impact on the multimedia industry due to its low complexity in achieving media encryption. Kuo was invited by the DVD Forum to assess two watermarking proposals for DVD content protection in 1999. He was also the Editor-in-Chief for the IEEE Trans. on Information Forensics and Security from 2012-14. It was transformed from a quarterly journal to a monthly journal under his leadership. Kuo contributes to the multimedia industry via funded projects, standard activities, and supply of well-trained MS/PhD students. His lab at USC has research collaboration with about 70 high tech companies and received 150 funded projects. He actively participated in standard activities such as JPEG-2000 and MPEG-4. His progressive geometrical data coding algorithm was adopted by MPEG-4. His rate control algorithm was recommended by the H.263+ standard. He contributed 20 documents to standard meetings. Kuo’s research team at USC has around 20 PhD students with 134 PhD alumni. He is the most prolific PhD advisor in the Mathematics Genealogy Project. About a quarter of his PhD students are professors in academia while others work in research labs and companies. His contributions to multimedia academia and industry through his PhD students & post-doctors are far-reaching. Dr. Kuo is a Fellow of IEEE, AAAS and SPIE. He received SPIE and IS&T Electronic Imaging Scientist of the Year Award (2010), Fulbright-Nokia Distinguished Chair in Information and Communications Technologies (2010-2011), the IEEE Computer Society Taylor L. Booth Education Award (2016), the IEEE Circuits and Systems John Choma Education Award (2016) and several best paper awards.